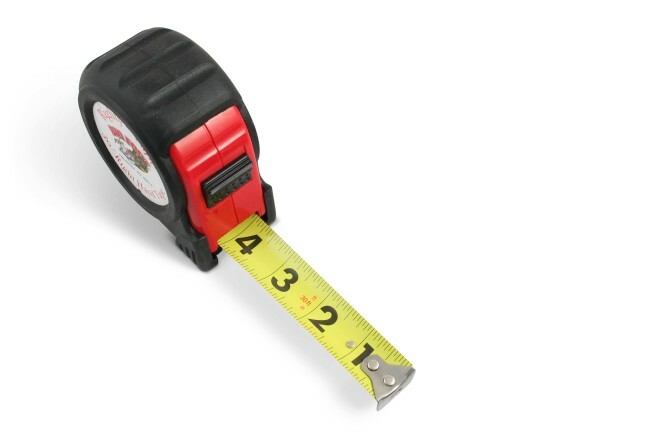 Big Foot now has a 30’ 1” wide measuring tape for the right handed man. Now, with the Big Foot 30’ Righty Tape you hook onto your right and all the numbers are facing the correct way. The numbers are big and dark so easy to read. 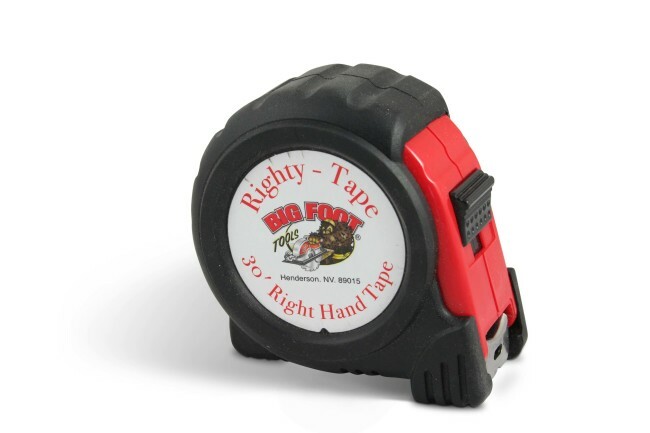 The Big Foot 30’ Righty Tape also has a comfortable outside rubber lining, thumb lock to hold it in place while making marks, and a belt clip. 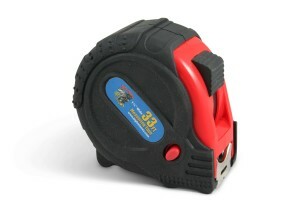 The Big Foot 33’ Tape Measure is very durable with 3 different locking devices to hold it in place while making marks. 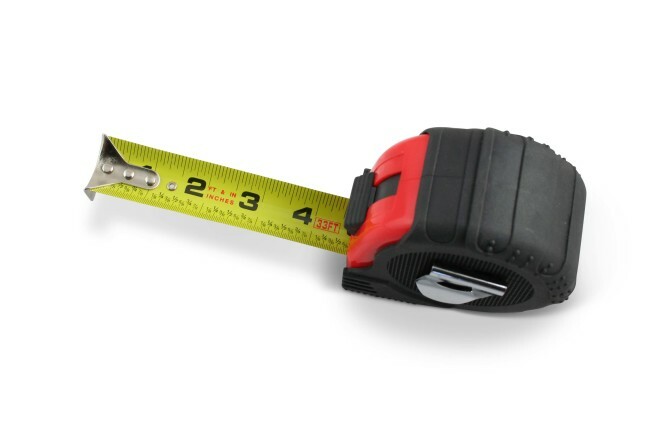 The Big Foot Standard 33′ Tape Measure has a 10’ Standout with an ergonomic rubber grip, belt clip. No matter what the angle you’re working on, you can lock the tape with 3-way locking capabilities. The blade is graduated in 16th on top and 32nds on the bottom with 16” and 19.2” stud center markings, as well as foot, inch and fractional marks.